I had some pretty lofty goals for us this past year, and I am very happy to report, that we achieved a lot of them. Lets take a look at how we did. 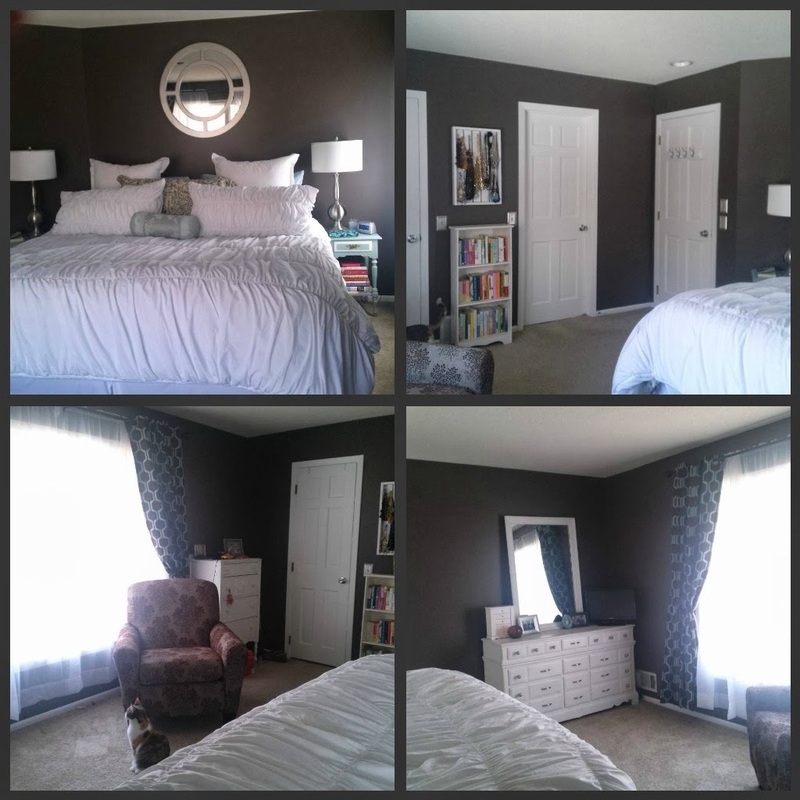 Paint the Master Bedroom - DONE! I love the way this room came together. We have a couple of things below that still need to be done, but we will carry those over to 2014. I will also post a full reveal of this room. Rug for bedroom - DONE! 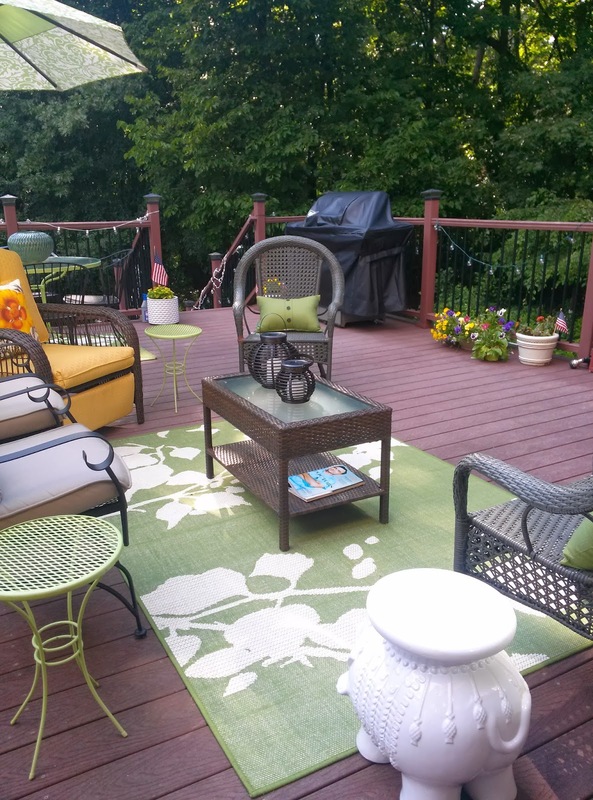 - we went into Lowe's to buy one rug, but this was an online return, marked down and a steal! It fit in the room perfectly too! Paint furniture - this hasn't happened yet - a carry over for 2014. We need to freshen up both dressers and the small bookcase, probably not until the spring. Headboard - another one on the carry over list for 2014. I have seen some great inspiration on a couple o f blogs and Pinterest to get us started. Upholster Chairs - Different Chairs - these are two chairs we have in the garage at the moment. Originally we thought they would go in my office, but I found a perfect chair and ottoman that I love reading in or snuggling with Stella cat. Then we thought our bedroom, but they weren't what I was looking for, and my mom and I found a chair that I like better in there. So, now, we are not sure where they are going to go, but we both agree that we love them. So for now, this one is on hold. 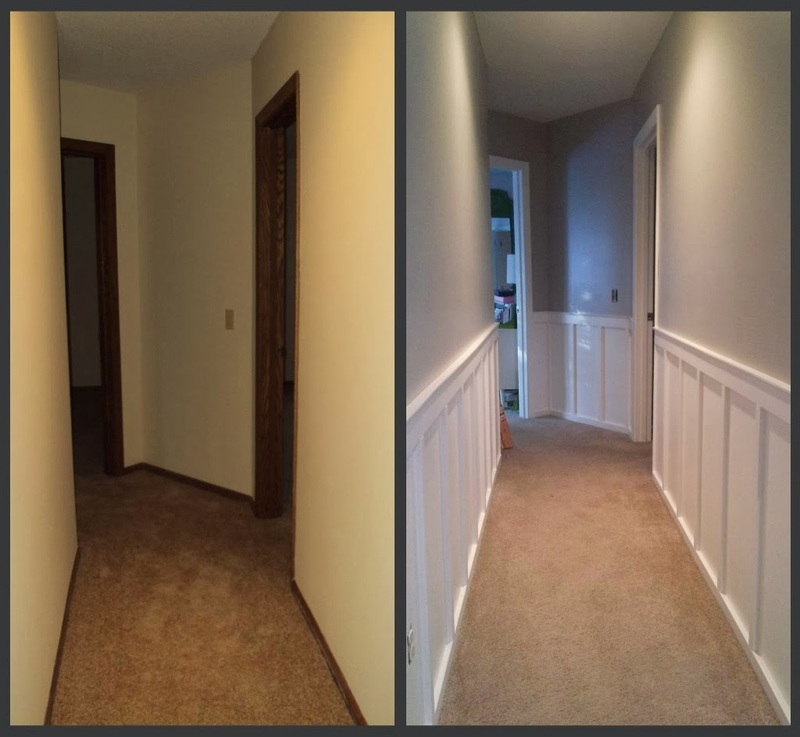 Paint the upstairs Hallway - DONE! - this is one of my favorite projects that the boy did this year. I absolutely love the way it turned out and he did a fantastic job. The hardest part for us has been picking out colors, but once we did, things really started to move along. Carpet for the Basement - this will be a carry over to 2014, we have kind of neglected the downstairs this past year. I am looking forward to getting the downstairs completed in 2014. Shelf in Media Room for Fans - half DONE! - we have purchased these. We need to decide what we want to do with this room for 2014. I would like to get it painted, but we have a lot of work that actually needs to be done with this room. 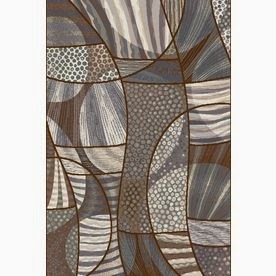 Rug for Office - I looked for this rug forever, and I am not happy with the one I did get. It will work for now, however it is not very good quality, very thin, not very well made and it was expensive. . . I am still on the hunt! I also have a full review of my home office coming soon. I spend a lot of time in here, and I am finally pleased with the way it has turned out. 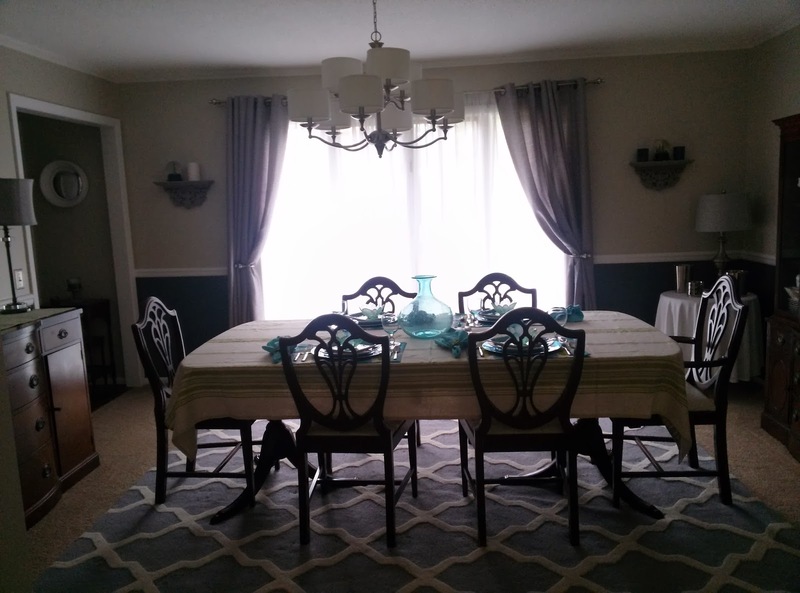 Paint Dining Room - DONE! 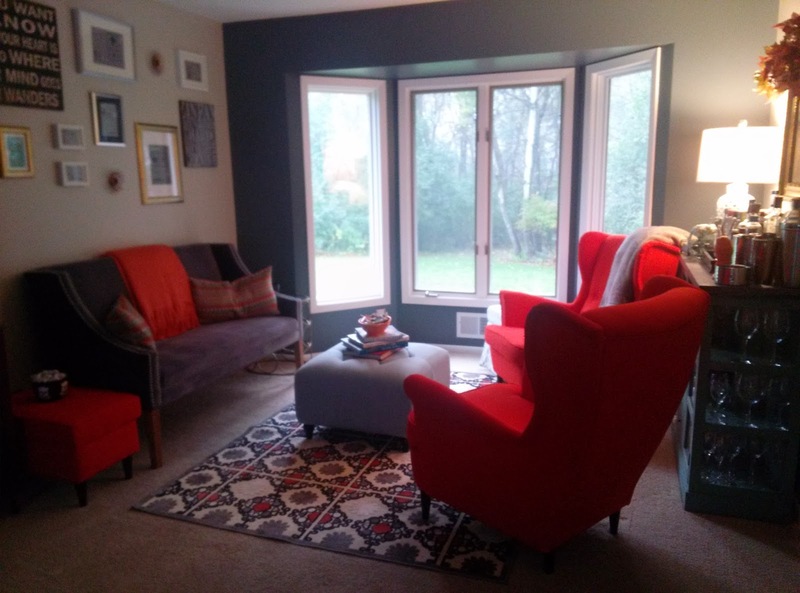 - I love the way this room has turned out. 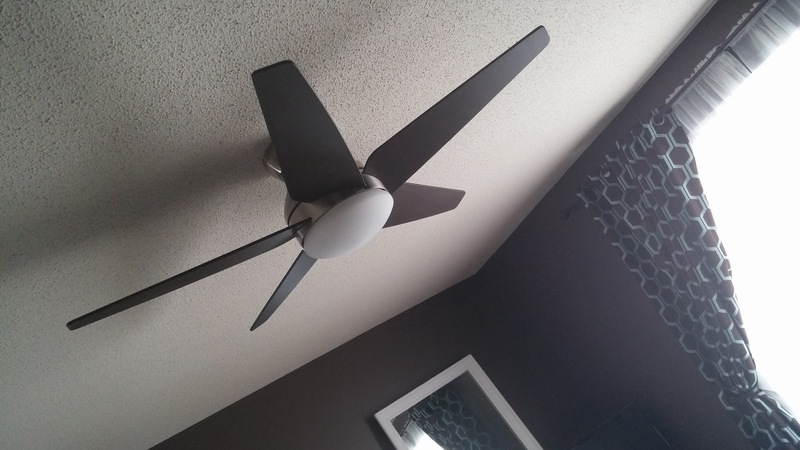 The boy did an awesome job with this room, and I love the transformation. We had looked at some of the parade of homes and gotten some ideas, it was fun for me to see things come full circle. 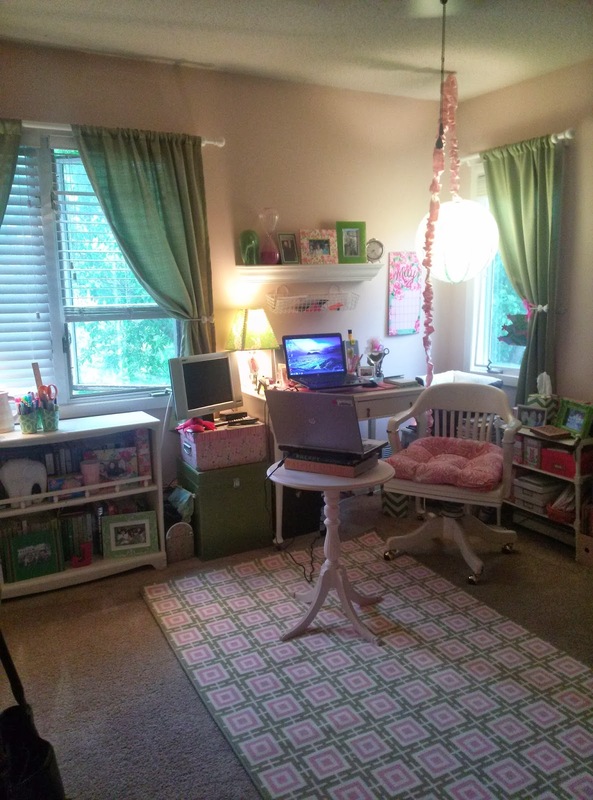 This will get a full post in 2014 as well, you will be surprised by the before and afters. Paint Sitting Room - DONE! - This is by far my favorite project we finished this year. We have used this room so much since we finished it. This was not what we had originally planned for this room, but once we made the decision on the direction to take it, it really just flowed. It was a lot of fun pulling this room together. Lower Level Bathroom - This goes along with the carpet for the lower level, this will be a carry over for 2014 as well. We need to pick our next projects to tackle based on time, budget and need. Clean Garage - I would love to count this as a half, but we need to get this one DONE - so carry over to 2014, but we did get rid of my dining room table and chairs and we got my car into the garage, so at least we made progress. Hang closet doors in Lower Level - Carry over to 2014. Finish Laundry Room - This room is very close, I want to change the wash tub into more of a vanity, but I am not sure if that it is a must have or a nice to have. I will think about this one and post once I figure out whether it is done done. 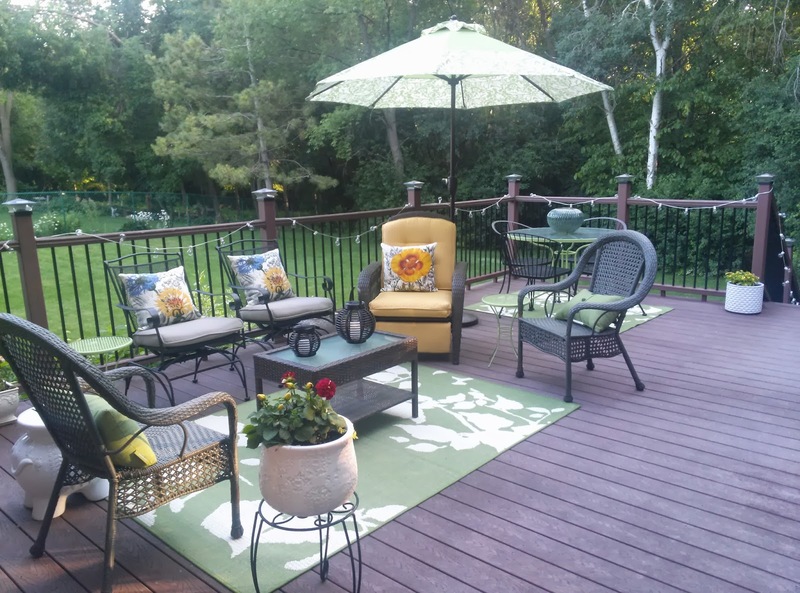 Bonus Project - we also did some updates to the deck and rearranged it. The space worked much better for us, and we got a lot more use out of it this summer. Just thinking about summer makes me wistful. I am really happy that we have the whole upper level of the house finally done. Couple of little things here and there, but for the most part it is done. The main level we made a lot of progress on, the other thing I didn't mention that we got the entryway painted and a new light fixture. SO the only two rooms left on the main level are the kitchen and the family room. I would like hardwood floors throughout the main level, and I am thinking we should do that next, but I need to discuss this with the boy. He is not sold on hardwood floors but we compromised and decided to do them on the main floor, even though I would like them throughout the whole house. We need to re-do the family room, this is going to require the rock wall coming down, the fireplace being moved and hopefully converted to gas, paint and possibly new furniture. The other big room is the kitchen. We have gone back and forth on this one. We have some ideas but we are not 100% on what we want to do. We have talked about changing the foot plan, expensive and I don't hate the foot plan the way it is now. It works. New cabinets, this is a must, we need new cabinets, new lighting, need to remove the bulk head that is currently there. Because the boy is so handy, we have talked about doing a lot of this work ourselves. But, again, we go back and forth. So, I am not sure if this is on the 2014 goal list or not yet. The siding. This is kind of a must do this year. 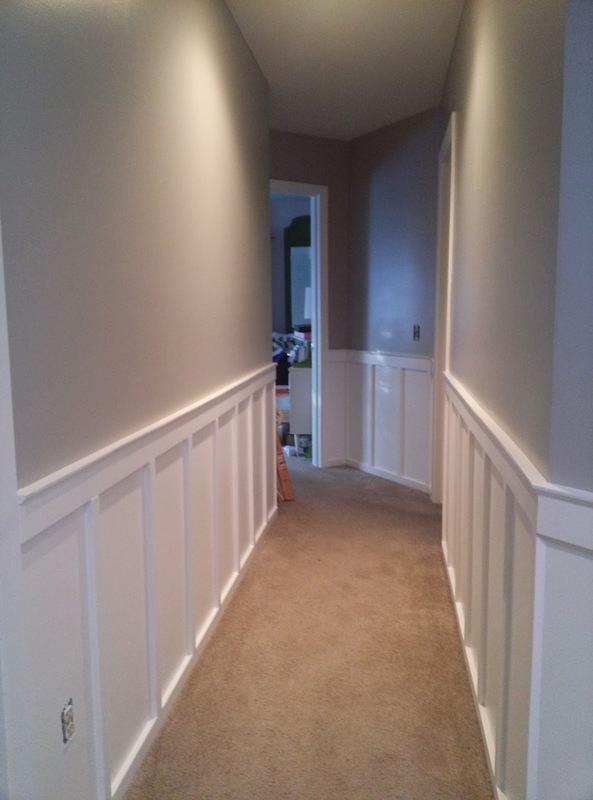 We have put it off for the past couple of years with the basement flooding and then we just got on a roll last year with the master, upstairs hallway, entryway, dining room an sitting room. This year it is a must do, and with that we need to decide if we change the roof lines like we have talked about and put a new roof on. Do we do new windows at the same time? Does anyone else see how this could quickly grow out of control? 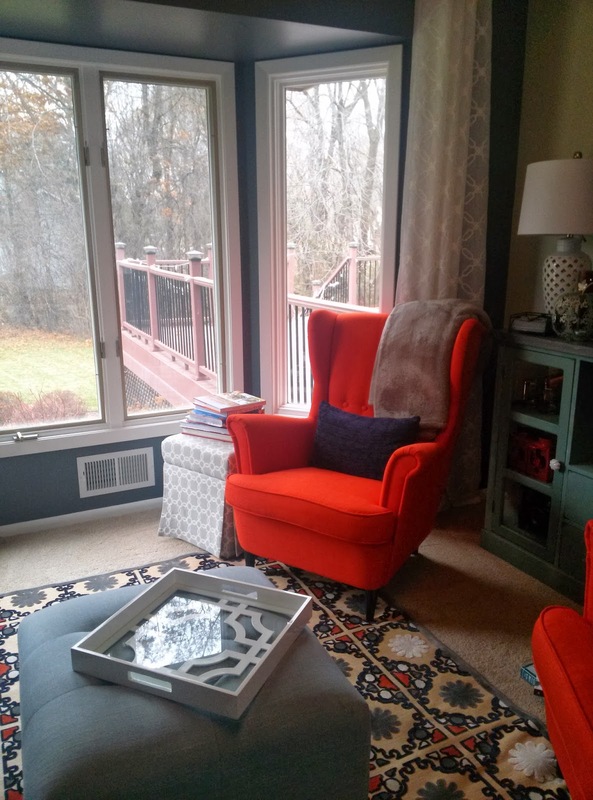 We want to put a front porch on and change the windows in the dining room to French Doors, ugh. There it goes again. The good thing is, we have our colors picked out, I think it is really going to change the look of the house and make a huge difference. It is just taking this next big step. Beyond the siding and outside of the house, as well as the carryovers from last year, I would like to get the grassy knoll in the front of the house landscaped properly. 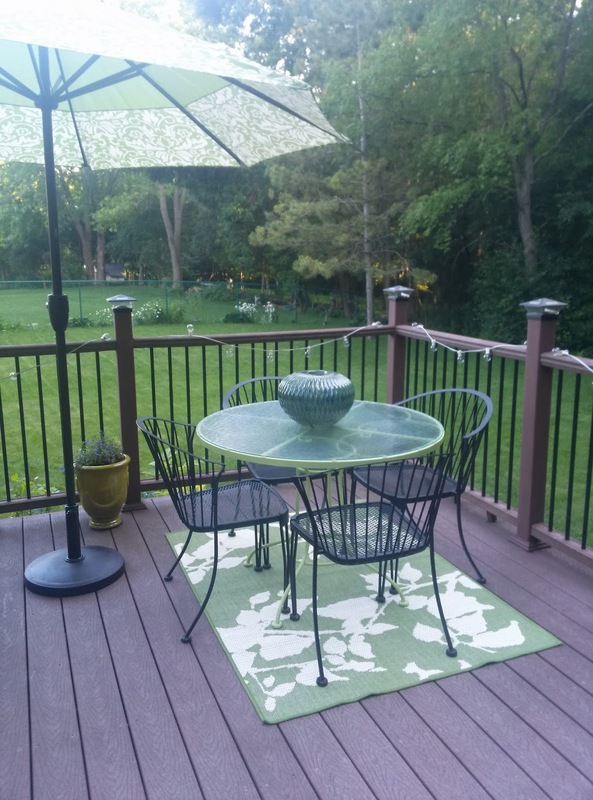 I know we can do this ourselves, we have tackled other areas of the yard, and I love to be outside working on this stuff, so I am looking forward to this one once the weather gets nice. 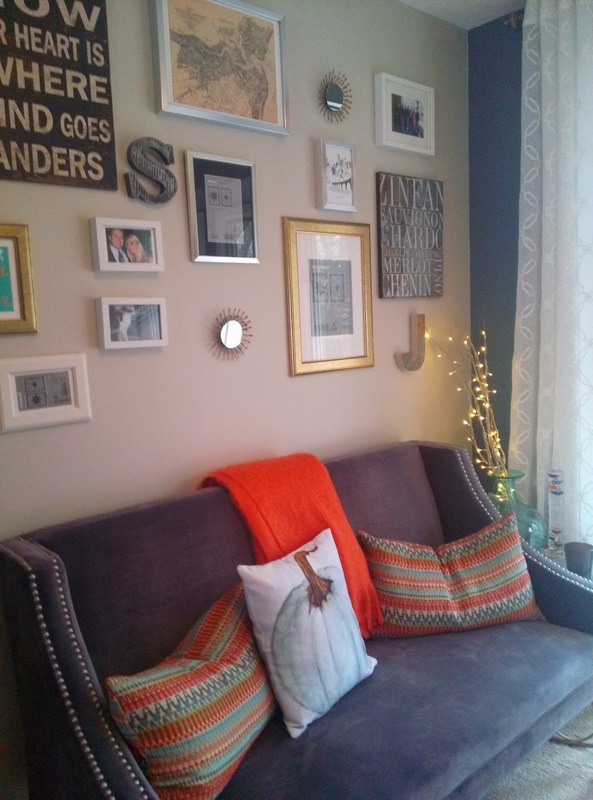 What are your home goals for 2014? Or am I the only crazy one that has to have a yearly project plan for our home? 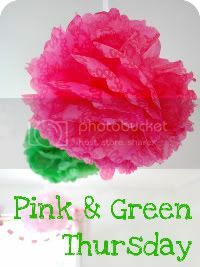 I am linking up over at the Southern Hospitality Blog there are some great DIY projects highlighted here, as well as some fabulous links. The boy should probably beware, I may be adding to our 2014 list.